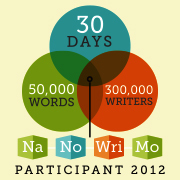 Return to the Word Mines: NaNoWriMo 2012! November is fast approaching, and that means a whole bunch of people will shortly be embarking on another insane quest to write a whole novel in 30 days (or less!) for National Novel Writing Month. I’ll be tackling NaNoWriMo again this year, hoping to actually finish an entire novel this time. Last year’s effort, Plague Magic, hit 35,769 words by the deadline, which is the longest single piece of fiction I’ve ever written. After giving the writing a rest last December, I’d planned to get back into it sometime in the new year and finish the novel. I had a decent outline for the whole thing, and had a rough idea of how it would end. Another month or so of writing, and I’d have a completed first draft. Right? It didn’t work out that way. If you’ve had a look around my site, you may have noticed I also write iOS and Mac apps in my spare time. My big goal app-wise for 2012 was to finally finish work on Story Tracker for Mac, a submission tracking tool for writers. It took me until September to finish it. There were also a heap of app updates I had to work on, including localizing Bonsai Album into a further 6 languages and updating all my apps for the iPhone 5. All of this ate-up nearly all my spare time this year! So, last year’s novel remains in limbo. I’m still excited about the premise, but it’ll have to wait until next year to complete. Why not work on it this November too? I suppose I could but it’s not really in keeping with the spirit of NaNoWriMo. Besides, I still need to prove to myself that I can write a novel start-to-finish in 30 days. Righto. A new novel, then. What’s it called? No idea. I need to think of something in the next 24 hours. I’m off to a great start already! Last year I came up with an idea late on Halloween night, but it took me a further week to outline the general plot, in-between frantically trying to meet the daily word quota. I don’t recommend this. It’s rather stressful and I swore this year I’d have things planned out well in advance. History repeats itself, alas. So much for that! I’m currently experiencing terror mingled with a sinking feeling of dread, along with maybe the slightest hint of excitement. Cranking out fifty thousand over the coming month is going to be a damned tall order. Then again, where’s the challenge if you don’t ever try to bite off way more than you can chew? Eat the elephant one bite at a time, say the wordsmiths. I’ll be giving it my best shot! To celebrate my descent into madness, I’ve put Story Tracker for Mac on sale at 20% off for NaNoWriMo. There’s a trial version available if you’re curious and want to check it out. I’ll probably be scarce around here over the next month, but might rant and rave a bit on Twitter – I’m @andrewnicolle. If you’re joining in on the madness, you can check out my NaNoWriMo profile. Feel free to add me to your writing buddy list, if you’d like. 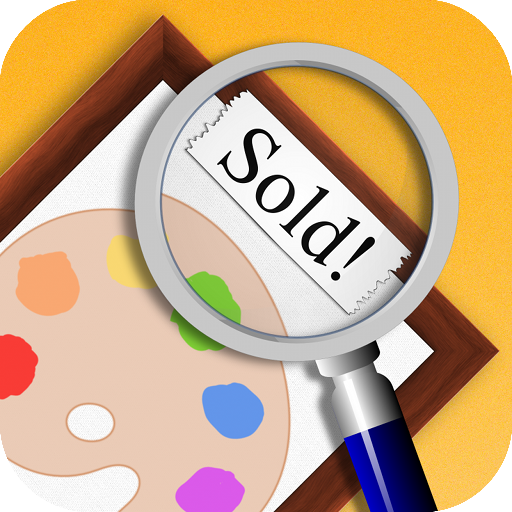 The Artwork Tracker v1.8 update is now available on the App Store for iPhone, iPad and iPod touch. The Bonsai Album v1.7 update is now available on the App Store for iPhone, iPad, and iPod touch.